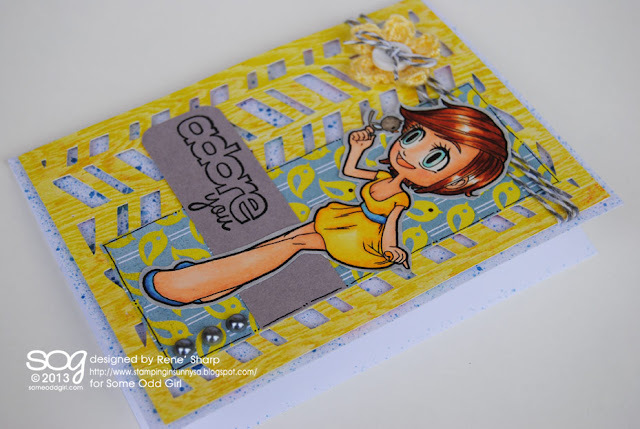 Here is the card I created using one of the rectangle files, I totally LOVE how this one turned out!!!! I used two of Kristy's awesome tutorials on the colouring of this card. 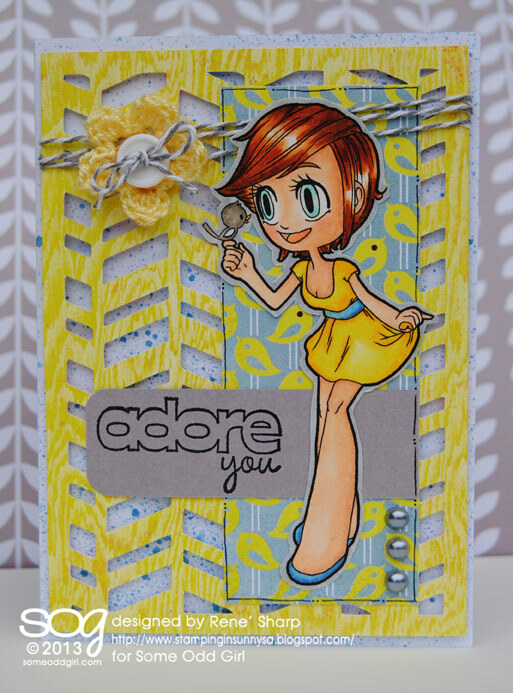 Her yellow shading tutorial which can be found HERE and the hair colouring tutorial which can be found HERE! SOME ODD GIRL has an amazing special running until the end of today, do yourself a favor and go and check it out.....like now!! :) HERE is the link to the shop!! Click on the DIGITAL STAMPS heading on the left hand side for all the awesome digis up for sale!! New digi releases from Some Odd Girl! Some Odd Girl July sketch challenge Card!